Need more space. Why move when you can extend your current home to create the perfect space? Due to the fluctuating house prices and high moving fees in the UK many home owners are choosing to keep the home they already love and make it suit their changing needs. 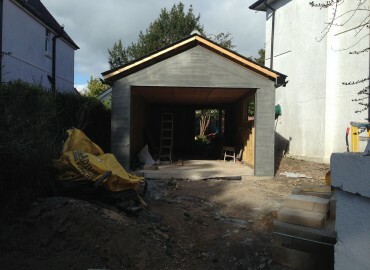 We offer a fully comprehensive service from the initial planning stage right through to completion. We will manage every stage of your build and deliver an outstanding service and finish. Let us take all the stress off your hands. 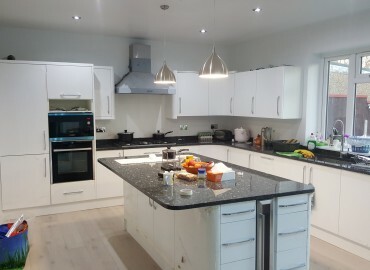 Our team of fully qualified and experiences professionals will liaise to make the whole process efficient and seamless leaving you to enjoy the finished product! See our gallery page to see examples of extensions we have worked on recently in the London area, or please contact us for more information. Our lives are getting busier and busier. Why not create bigger space and relax with friends and family inside one of our beautiful custom-built home extensions? Probably you are expecting a new addition to the family or want a larger kitchen space in order to host family and friends. In less time than you would think ( usualy 5 weeks), your extension is done and you have that much needed extra space to breathe. Looking to extend your home or searching for a quick and cost-effective way to increase the value of your property? to your home. You can tailor the design to suits your needs. Your beautiful new extension will become a seamless addition to your home, complementing your property for many years to come. low maintenance home extension that you and your family will enjoy all year round. With a full 10-year guarantee on all Romania Build extensions, you can be sure that your project is built to last. making for an outstanding return-to-investment ratio! It’s the right time to gain some valuable extra space in your home. Re-energize your property and feel the difference. 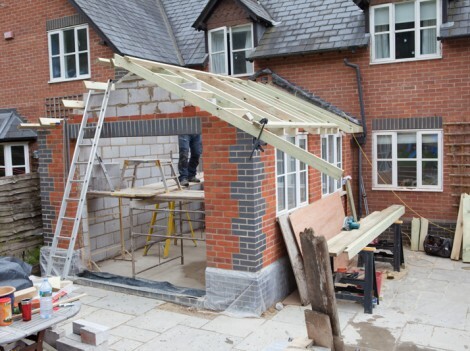 Home extensions are a great way to add extra living space to your home without moving home. so why move home to a new area, when an extension is a cost effective way of making the home you love have the space you need. for clients across London and the North West London. Home extensions have virtually endless possibilities, but there’s always a few things you can consider before planning one. Keep in mind the lighting available for your extension. Home extensions that are nested between properties, or at the front or rear of your home, will be shadowed for certain periods of the day. Window quantity naturally plays an important role in the amount of light your home extension will benefit from. Ensuring an even number of windows on opposing sides of your home extension will make the most of the available natural light. Conservatories are an excellent option for well lit areas, but can suffer from cooler temperatures than fully insulated extensions. Underfloor heating is an excellent solution and is a great alternative to radiators in any room. Will the finished home extension cramp your remaining land? your existing land can help considerably. Also consider how your proposed home extension will affect your neighbours. If applying for planning permission, your neighbours will have the right to object. Make sure you are on friendly grounds with them before you start, and be prepared to compromise if necessary. Watford, Bushey, Borenhamwood, Greenford, Wembley, Uxbridge, Sudbury. If you are looking for Builders in London then you found the perfect team.